Bali Bubs is an Indonesian company owned and operated by Ketut. 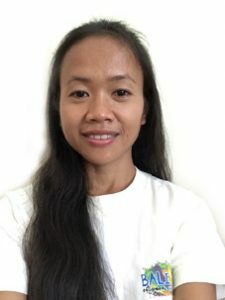 Ketut is from the north of Bali and (with her Australian husband Nick’s help with the website) she is passionate about helping the wide range of International visitors to Bali, ensure they have a safe and comfortable journey by helping with all aspects of looking after your children while on holiday. Ketut understands the hassle and frustration that can arise when transporting large amounts of equipment through airports, and so it’s via personal experience that the idea from Bali Bubs was born. 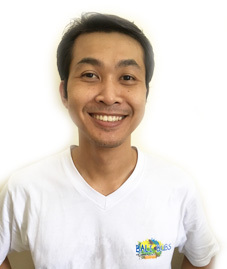 Wahyu is the operations manager of Bali Bubs and helps keeps the wheels turning on our prams and strollers, amongst many other things. He’s routinely assisting customers by email or phone to arrange for their equipment bookings, airport transfers and making sure everything runs smoothly for your visit to Bali.